SAN FRANCISCO — San Francisco Public Defender Jeff Adachi released the following statement Dec. 3 on the grand jury’s decision against indicting NYPD Officer Daniel Pantaleo in the chokehold death of Eric Garner. As San Francisco public defender, I am profoundly dismayed by a Staten Island grand jury’s refusal to bring charges against Officer Daniel Pantaleo in the chokehold death of Eric Garner. The facts in this case were not murky due to unreliable witnesses or subjective memories. The struggle that ended in Garner’s death was caught entirely on video. Officer Pantaleo, the subject of two previous civil suits, used a hold on Garner that was explicitly prohibited by NYPD’s own patrol guide. Garner, who had asthma, could be heard repeatedly telling officers he couldn’t breathe. The New York City medical examiner ruled Garner’s death a homicide. A grand jury refusing to indict in such an evidence-heavy case would defy belief – if it didn’t happen so often. It is less than two weeks since a grand jury in Ferguson, Mo. failed to bring charges against another white officer who shot another black man. Garner was one of four unarmed black men killed by police in the U.S. over a single month this past summer. It is rare for grand juries to return indictments against police officers, at least in part because local prosecutors rely upon local police to bring their cases. Perhaps it is time to bring in district attorneys from outside jurisdictions when a police officer is accused of a crime. 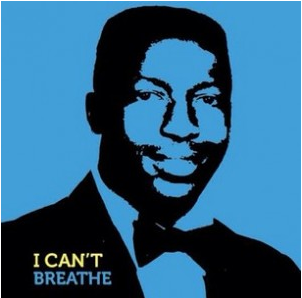 Eric Garner’s death is not an isolated tragedy. Neither is Michael Brown’s. But together they have significantly eroded faith in the justice system.